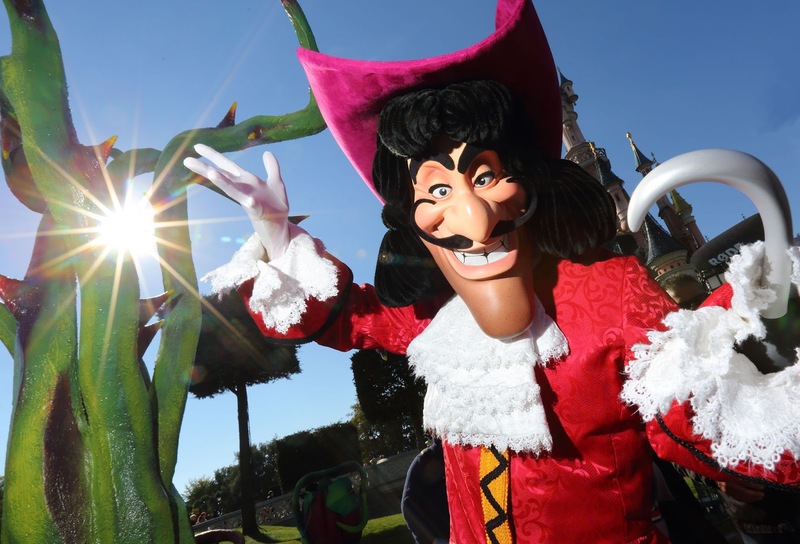 This Halloween season, for just one month Disneyland Park will get a makeover, as a strange and spooky atmosphere creeps over and Disney characters will leave guests amused, spooked and surprised. In all their finery, Disney Villains will meticulously prepare their most spectacular tricks to tease guests, but fear not as Mickey and his friends will still be around, so expect pranks and chuckles from them as well! Despite allowing the Disney Villains to plunge guests into a spooky realm, Mickey and friends will also be on hand to make mischief at Disneyland Park. 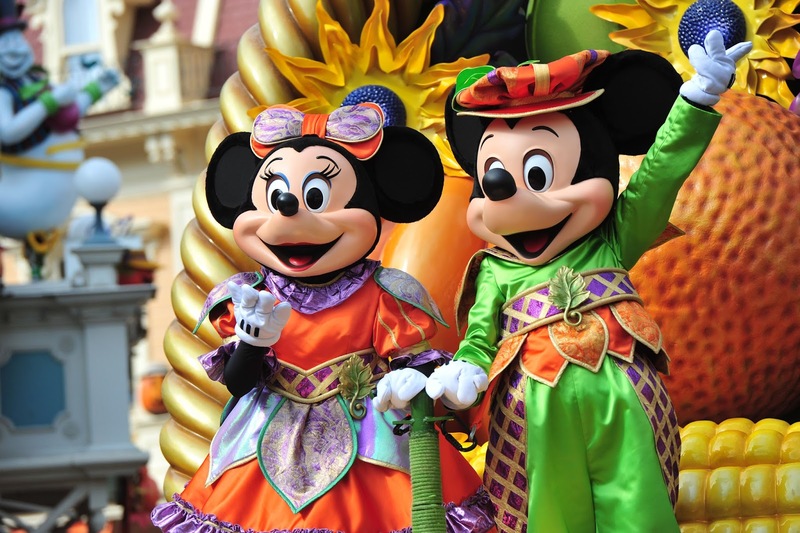 Mickey, along with his fellow adventurers, Minnie, Donald, Daisy, Scrooge McDuck and many more will be celebrating the harvest at Mickey’s Halloween Celebration1. 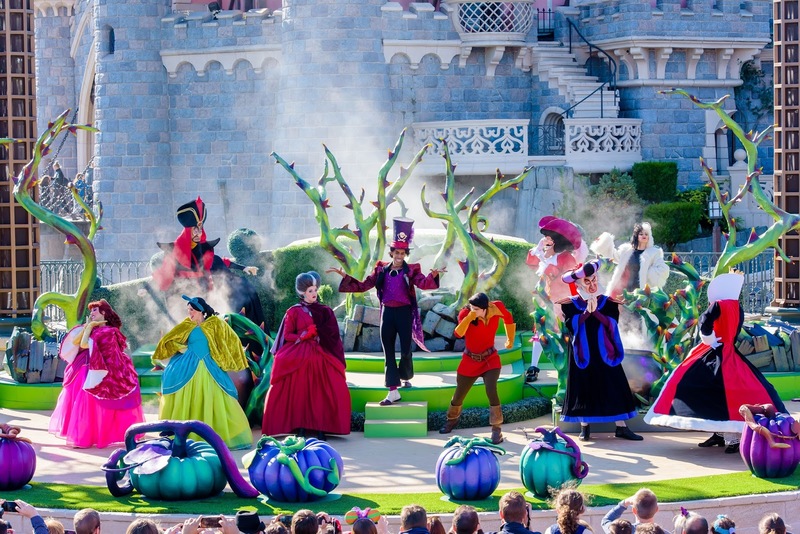 Bursting with color and fun, the parade is the climax of the seasonal celebration, which takes a villainous turn soon enough. Also, to make the most of the celebration, head to the Halloween Costume Corner1 to discover the costumes Daisy is showcasing for the occasion. Stitch also promises to make a few appearances to create a spectacularly mischievous Halloween for guests. Guests can expect to meet plenty of Disney Characters for monstrously funny souvenir photos. 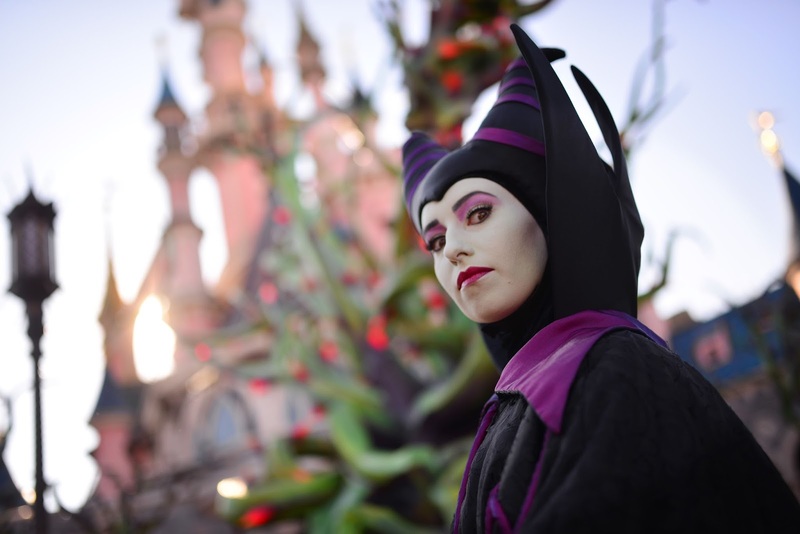 Maleficent, queen of the Disney Villains will take control of Castle Courtyard, claiming it as Maleficent’s Court1. A fearsome fairy will pose beside her unnerving bramble bush: a captivating encounter for half-amused, half-frightened guests. Maleficent’s spell will extend to the Royal Castle Stage where the Disney Villains will challenge the most audacious guests to attend their shows: It’s Good to Be Bad with the Disney Villains! Jafar (Aladdin), Cruella de Vil (101 Dalmatians), as well as Gaston (Beauty and the Beast), the Queen of Hearts (Alice in Wonderland), and Captain Hook (Peter Pan) will be there. The witch from Snow White, Frollo (The Hunchback of Notre Dame) and even Dr Facilier (The Princess and The Frog) will also be coming along to wreak havoc. Guests looking for adventure will also love the Park attractions, which provide thrills throughout the year. The loops of Space Mountain: Mission 2, the frightening track of Indiana Jones and the Temple of Peril and the delirious speeds of Rock ‘n’ Roller Coaster starring Aerosmith will send shivers down the spines of the most seasoned rollercoaster fan. For more unusual thrills, guests will be able to venture off towards The Twilight Zone Tower of Terror. This aptly named attraction will have guests shrieking in terror as the elevator plunges down the abandoned shaft. One thing is certain; the view is worth the detour. The Halloween spirit will stretch its ghostly arms throughout Disneyland Park, from Main Street, U.S.A. up to Sleeping Beauty Castle. Sinister and comical, Disney’s Funky Pumpkins (Disney’s unique sculpted and decorated character heads) will oversee this transformation, amusing and intriguing guests. Meanwhile, the smiling phantoms of the former inhabitants of Main Street, U.S.A. will invite guests to pose with them, allowing them to immortalize the moment. The most daring guests can go to Castle Courtyard, which has been taken over by an impressive bramble bush. Its disturbing form, resembling a strange dragon, will change color when night falls, transporting guests to a mysterious world. Finally, guests at Disneyland Park can enjoy the culmination of the season, Disney’s Halloween Party2 on 31 October 2016 until 1 am. When night falls, they will be able to continue to relish the atmosphere in the Park with fun, frights and surprises, as part of a unique and original experience at the mercy of Mickey and his friends and the tricks they have in store. The Disney Villains will be happier than ever, determined to provide thrills and chills. With humor, frivolity and a healthy dose of mischief, Halloween will make guests laugh and tremble at Disneyland Paris, from 1 October to 2 November 2016. For entry to the party, a wristband is issued upon presentation of a valid evening ticket. The party may be changed, postponed or cancelled without prior notice, particularly in the vent of inclement weather. Parking not included in the price of the entry ticket. EUR 45 per person, free for children under 3. Entry to Disneyland Park after 5 pm for holders of a valid evening ticket. How cool! I've been to Paris a couple of times, but I've never seen Disneyland Paris. It looks like a blast. Oh you'll enjoy it. We did Spring there and had a blast. That looks like the perfect place to be in Halloween (OK Disney is the perfect place to be any time of the year!) I love how they have gone all out for the season without making it too scary! Disney is definitely the place to be. We went to Disneyland Paris in March and it was amazing, I'm hoping to go back again one day soon. Halloween at Disney is one of the best ways to celebrate this season. There are so many attractions and the kids are definitely going to enjoy it. I really appreciate that Disney tries to give the people the best experience each season. You can say that again! I'm hoping to go to either Disneyland or Disney World next year for Halloween. It would be so cool to see the Disney villains in the castle courtyard. I'd really like to see the bramble bush after dark too! I agree with you, it would really be cool! I am completely hoping to get to EVERY single Disney in this lifetime! I didn't realize just how pretty the Paris Disney is, I need to go ASAP! This is amazing! Oh you and I have the same goals. I'm hoping to go to every single one myself too! Oh wow! What an awesome experience this would be for anyone! I would love to go there for Halloween! Looks like so much fun! Oh it would be great for everyone, old and young alike. Wow. What a wonderful time! Our family will really enjoy a day there too! I don't know of a single family that would not love Disney. That looks like so much fun! I've always wanted to go to Disneyland. I would love to bring my girls sometime too. I bet it's amazing this time of year! Disney is always amazing! You can't beat it. Wow, I would like to take my son there. He likes going to Disney! My kids love Disney but none as much as my youngest. This is a wonderful time to go to Disney! We would like to celebrate Halloween there! I've never celebrated Halloween at Disney and it's one of my dream to do so. That is awesome. I would love to take my kids to Disney at Halloween time. We have only been to the park in FL. We've never done Halloween at any of the parks and we've been to 3 so far. Halloween at Disney is one of my list of things to do. I have heard that all of the Disney parks pull out all the stops for Halloween. It's a dream of mine to visit all of them during October at some point. And Christmas!! That picture of Maleficent is off the hook. Oh I would love to do Christmas in Florida when it's warm, now that's a dream. I went to Disney Paris recently and I loved it, it would be nice to see it now all done for halloween. We went in the Spring and had a blast and I can only imagine how it looks now, spectacular. I was just at DisneyWorld a couple of weeks ago and the park was decked out for Halloween. I loved the Mickey Jack-O-Lanterns. My niece and nephew were too young to stay up late enough for the festivities, but perhaps when they are older we can go again. Oh that sounds fantastic. We were in Disneyland in August and while I still have passes for Disneyland, I was there again in October but didn't make it. Halloween at Disney would be amazing. I would love to go to Disney in Paris. You'll love Disneyland Paris. We had a great time there. 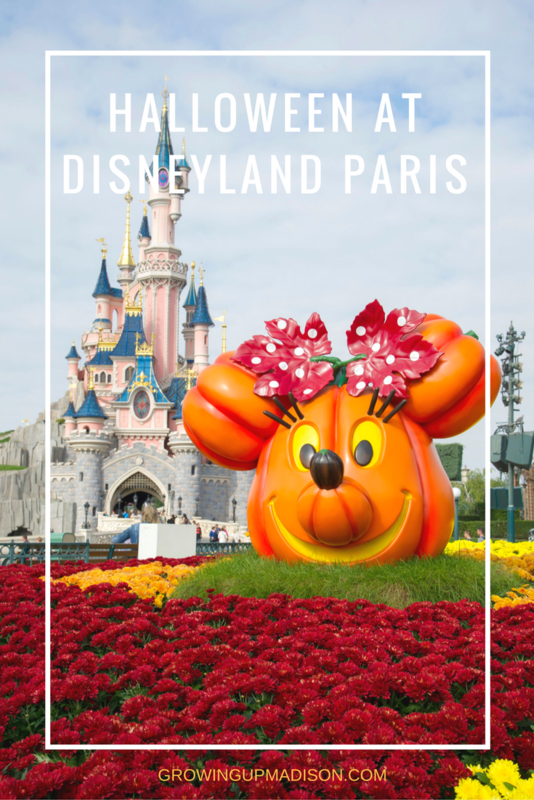 Disneyland Paris is amazing and I'm surprised that you've never heard of it. I think Halloween would be a great time to go to Disneyland Paris! It looks like so much fun! Oh it's a lot of fun there in Disneyland Paris, now Halloween there must be even more so. I would love to spend Halloween at Disneyland. Especially in Paris, now that's a dream trip! Yes it sounds like a delight for sure, but then again anything Disney usually is. I really like Maleficent's design, she's a byproduct of beauty, trust and betrayal which makes here a great character. I'd love to experience a trip to that Castle Courtyard when I come back to this place, been a real while!